Whether you are a bride that has been preparing for this day your entire life or one that would like some guidance in every department, A Good Affair has the experience and the design expertise to create a magical wedding day for you. As Riverside wedding planners, this company is familiar with the services and the vendors that are available in the area. You can trust that this team will work with you to design the color scheme and the small touches that make a wedding memorable for everyone. Bella Notte Events is one of the premier local planning companies because they help couples plan and produce the occasion from beginning to end. 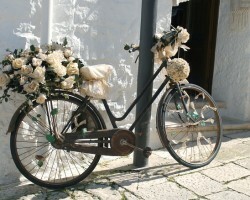 This company has been working in the area as a coordinator, organizer and overall wedding consultant for over 10 years. 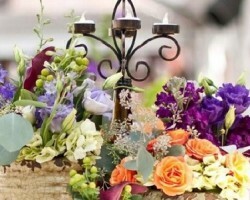 In this time they have come to know all of the vendor options in the area and have also come up with some of the most unique themes and party planning ideas to make your event as personalized as possible. The certified wedding specialists at Enthuse Weddings and Events offer different packages that each include a different checklist of what the planners will do to make the occasion come to life. This team of professionals can help you design and execute the event from start to finish or they can simply be there on the day of the event to keep everything running smoothly. This top wedding planner will help you find the right vendors for the style of your event and are even available for destination wedding planning. Planning any large occasion or special event can be stressful. There are many different vendors to deal with, budgets to keep to and projects to manage. 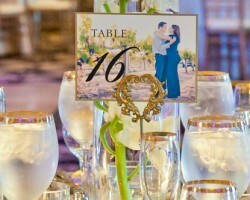 This is why couples in California turn to the experts at Dream events. This team is known for being able to put together the most beautiful events with you in control of all of the decision-making and style in the process. 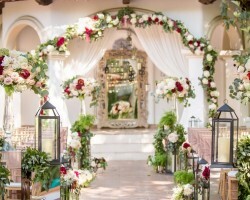 As a wedding planner in Riverside, CA this company has formed relationships with local wedding vendors and can even help you get the best deals. 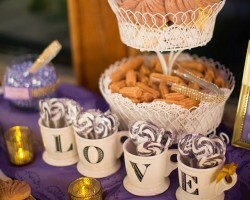 Simply A Soiree has experience planning everything from a corporate event, a holiday party to many weddings in the area. This company treats each of their clients like a celebrity throughout the planning and production processes. They will not only keep you in the loop throughout the planning but they will also make sure that any style or design decisions are approved by you before they are implemented into the occasion. This team will also keep you on budget, which is something every client appreciates.